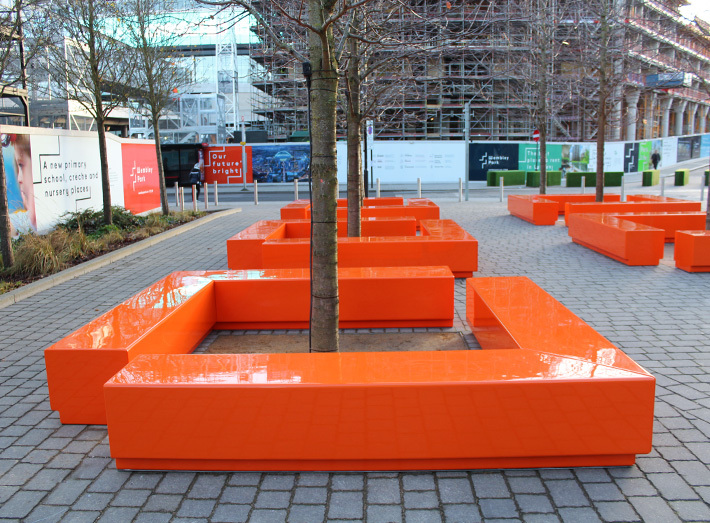 Bench seating has been installed into Wembley Park, London, to create a striking sculptural centrepiece for their Market Square. Wembley Park is situated just a stone’s throw from the world-famous Wembley stadium and is fast becoming known as ‘London’s new creative district.’ The park includes London Designer Outlet which offers over 50 brands offering up to 70% discounts; the centre also offers over 20 restaurants and a wide selection of bars. 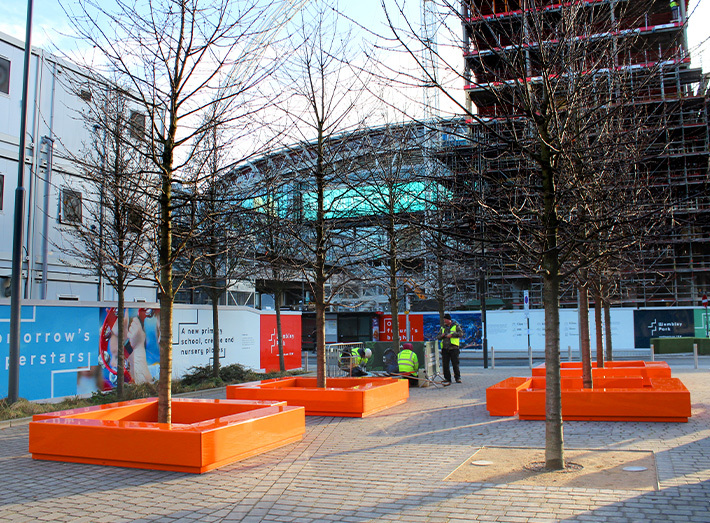 “To add a touch of drama to the design it was decided to make the seating multi-use. The team at GeoMet were very flexible as I had a unique design I needed them to make. We needed to create a ‘W’ and ‘P’ for Wembley Park which could be used for various events at the arena. 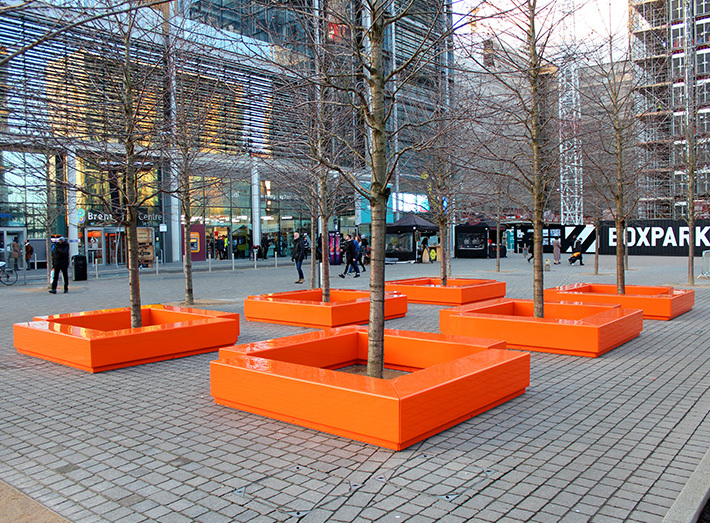 A series of ‘L’ shaped benches were created to be placed in the market square and to be re-modulated for use at the arena for other events. Manufactured in sections, to allow great flexibly in space planning. Bench seating is available in various size and shape options. 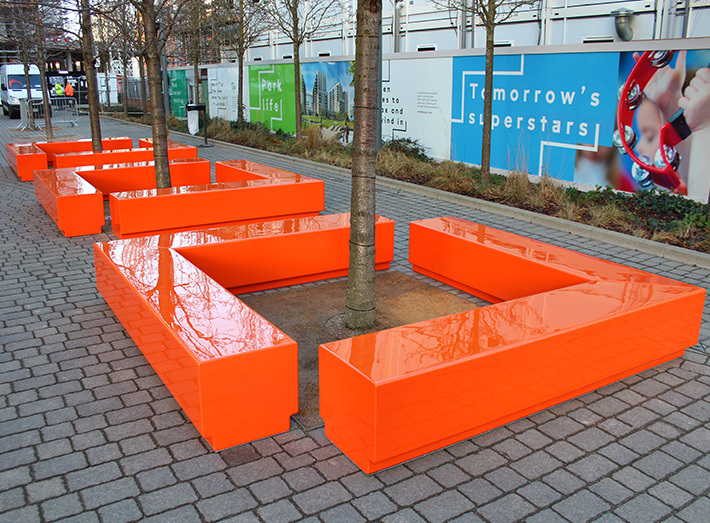 This entry was posted in Case Studies, GRP Seating and tagged Modular Seating. Bookmark the permalink.